Depression is much more than sadness, some describe it as a feeling of impending doom. Although some people don’t feel sad at all- they may feel lifeless, empty, and apathetic. Men, in particular, may even feel angry, aggressive, and restless. Depression is different than normal sadness, it engulfs your everyday life, interfering with your ability to work, study, eat, sleep, and have fun. The feelings of helplessness, hopelessness, and worthlessness are intense, with little relief. Depression makes you lose interest in activities you used to enjoy, and being with friends. You feel tired all the time, your sleep an appetite has changed, you can’t concentrate, and you can’t control your negative thoughts. Abuse: Whether physical, sexual or emotional. 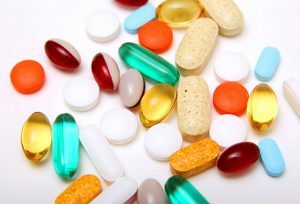 Certain medications: Such as Accutane. Conflict: Personal conflicts with family members or friends. Death or a loss: Sadness or grief from a death of a loved one. Genetics: A family history of genetics may increase the risk of depression. 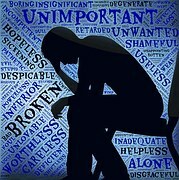 Major events: Whether they are good or bad, such as starting a new job, graduating, getting married, moving, getting divorced, losing a job, or retiring, there is an increased risk of getting depression. 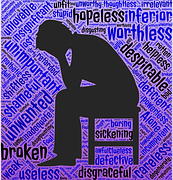 Serious illnesses: Sometimes depression may be triggered by another medical condition. Substance abuse: 30 percent of people with substance abuse has depression. Candida Albicans: Having a candida yeast problem can cause depression. How can Candida cause depression? If you have a history or repeated usage of antibiotic drugs, persistent digestive symptoms, or recurrent vaginal yeast infections, these are the signs that candida yeast is a problem. Depression develops because your immune system , your endocrine system, and your brain are intimately related. Our brains are tied to our gastrointestinal tract and our mental well-being is dependent on healthy intestines. Candida takes over our colon with our conventional diets. 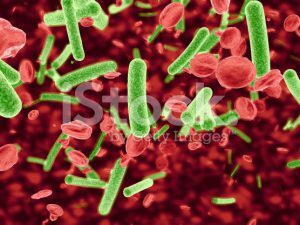 Along with it comes other harmful bacteria. An intestinal system infected with this kind of ecosystem cannot process and assimilate many of the vitamins we need, like B vitamins, which are very important for brain function. Those who experience depression are usually low in B vitamins, especially B6. Candida breaks down the intestinal wall and gets into the bloodstream, allowing other toxic by-products to leak from the colon to the bloodstream. 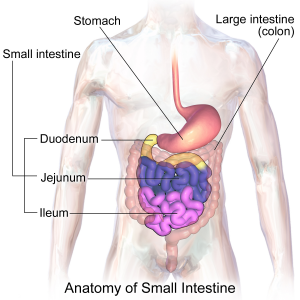 Much of the bodies hormone production occurs in the intestines. 90 percent of our serotonin. the key neurotransmitter is responsible for regulating mood; it is produced inside our intestines. When candida reaches a certain point, it suppresses the production of neurotransmitters such as serotonin. A lack of serotonin leads to depression, anxiety, and other mental health problems. Candida prevents the livers ability to store vitamin B12. We do not need much of it, but if we are low, depression and more serious mental issues will develop quickly. Acetaldehyde, a by-product of candida, also reacts with dopamine neurotransmitter, which can cause depression, anxiety, poor concentration, and feeling spaced out. Candida goes through the bloodstream and finds other areas of the body to make home in, invading everywhere it can. The blood becomes sluggish with diminished regenerative capacities, and the body begins to age, ache, and develop allergies and then autoimmune issues, which lead to depression. To be healthy, you have to have a healthy colon. You should do a colon cleanse to detoxify the intestine. I suggest you go here. I also suggest to read this book.